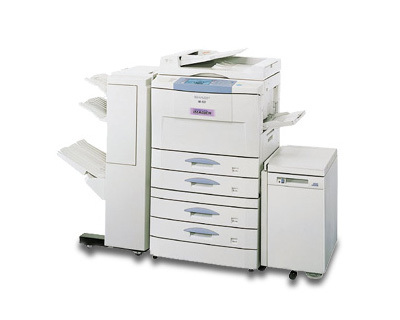 The Sharp AR-507 copier is designed to deliver the ideal solution for front office applications: high-speed 2-sided digital copying at 50 pages per minute, the capability to add professional finishing, workgroup printing and network scanning. 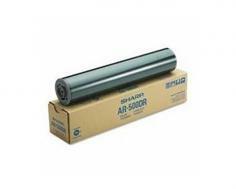 Like Sharp’s other AR models, the AR-507 is a copier first and foremost. Right the box, the AR-507 focuses on the features that businesses expect when they purchase an image processor for medium to high-volume workloads. The base unit comes with a 2-sided auto document feeder, two 500-sheet trays capable of holding up to two reams of 11” x17” ledger-size paper. A flip-tray opens on the side for a 50-sheet multipurpose paper tray. Additional copier accessories can add up to two more 500-sheet cassettes, 3000 large capacity 8.5” x 11” tray, a stapler finisher unit for sorting & grouping copies. Monochrome copies up to 11” x 17” can be made directly on the glass platen, or using the Duplex Automatic Document Feeder (ADF). The 50-sheet automatic document feeder of the AR-507 can automatically scan 2-sided originals and create 2-sided copies. What’s even more impressive is unlike many Duplex Automatic Document Feeders (DADFs) that have to pull the paper in twice to scan both sided, the AR-M507 has a top and bottom scanner, reducing scan time and paper feed jams. Not having the higher magnifications of the AR-337, the AR-507’s zoom is still impressive with a range from 25% to 400%, and a choice of 1% increments, automatic resizing, or in ten jumps. Up to 999 copies can be reproduced. Resolution and print speeds are spec’d at 600 x 600 dpi up to 50 pages per minute, with either text or image digital enhancement modes. Copies are at 256 level grayscale, for making color graphics still visible in B&W. The AR-507 is a very good high-speed copier. However, the ability to add printing and scanning cards after the copier is in the office may be beyond the technical abilities of its end-users, requiring a Sharp field engineer. And even with the multi-functional options, there are less expensive mid-range multi-functions that can provide faster and higher print quality for small-volume jobs. Doing a large print job or copying will cause the Sharp to pause in the middle of a job. This pause is to allow time for the toner level to be brought up to normal levels to maintain consistent print quality. So during any high-volume copying or printing, expect your average print speed to be considerably less than the touted 50 pages per minute. 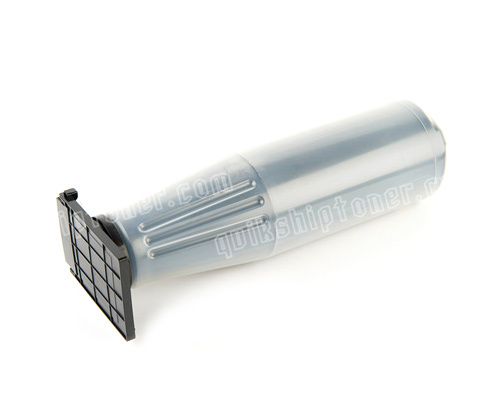 Review it: "Sharp AR-507 "
Indicators on the control panel will inform you when toner supply is low and other consumables need replacing. The AR-507 comes with a cartridge that carries more than enough toner to give you enough time to purchase a full 25,000-page yield cartridge. 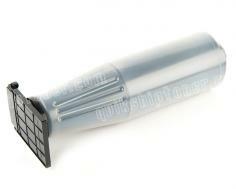 Other consumables to consider will be the drum unit and the "used toner" bottle.